Before it was Open Influence, the company was called InstaBrand. And before that, founder Eric Dahan was working on something else entirely. It had nothing to do with influencer marketing—Dahan called it a “fashion aggregation app,” a string of words I can’t even begin to understand. The idea behind this project became no clearer after I heard his description of it. 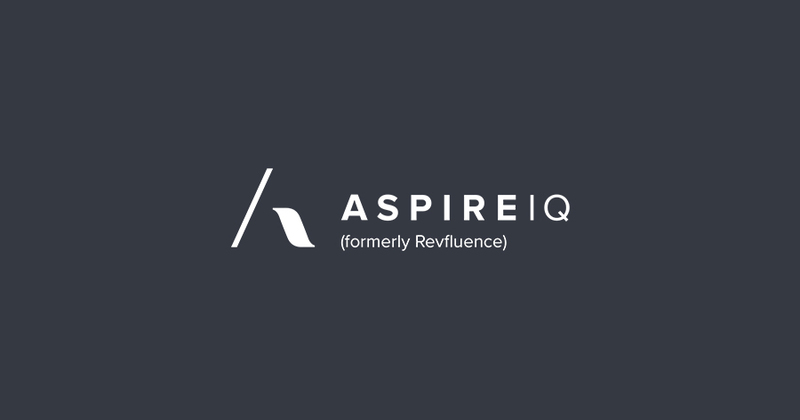 “We were aggregating sales across the web,” he explained, and if it weren’t for his pivot into influencer marketing I probably would have tried to understand what that means. Thankfully, I didn’t have to. That pivot came about as Dahan was trying to pitch his app to potential clients. In trying to get them to understand his app’s potential reach, he told them of the thousands of downloads his app recently enjoyed on the heels of a clever marketing campaign he’d run on Instagram. This was 2013, before influencer marketing was a thing anyone had a name for, and so Dahan found himself answering more questions about his marketing strategy than his product. The answer he gave was essentially the elevator pitch for influencer marketing: He knew a bunch of people with thousands of followers each on Instagram, and asked them to plug his app as a favor. They did, and the downloads started piling up. One pivot, thousands of lines of code, a few million dollars in funding, and a name-change later, Dahan and his co-founders—Felix LaHaye and his brother, Alex Dahan—turned Open Influence into the tool of choice for dozens and dozens of brands. And since fashion is no longer the focus, there are plenty of other brands using it, too. Tinder swiped right on the platform. The Star Wars franchise thought the force was strong with it. Etsy runs their hand-made artisanal influencer campaigns on it. Mexico’s not going to pay for a wall, which left their tourism board free to spend on Open Influence. Toyota, BMW, and Volkswagen all signed up after taking a test drive. Coca-Cola, San Pellegrino, and Glaceau all quenched their thirsts for influencer marketing with Dahan & company. Pixar, MTV, and UFC; Dove, Aveeno, and Estee Lauder; Bose, Braun, and LG—the list of high profile clients goes on and on. All of this amounts to one hell of a pivot, especially when you consider how crowded the market is for influencer marketing services and software. So what is Open Influence doing that’s made people notice them? 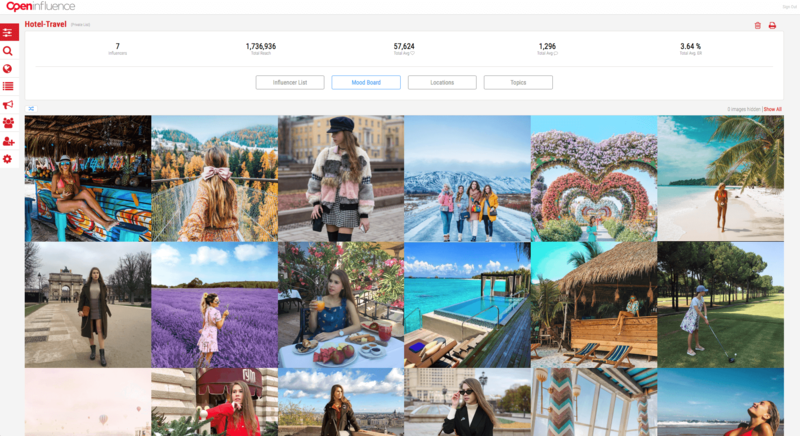 On its surface, the platform appears to be Yet Another Influencer Discovery and Management Tool. Influencers opt-in, lots of data is gathered and indexed. Brands search for and activate these influencers, negotiate fees, organise and schedule posts, then monitor and analyse a campaign’s performance. Open Influence does all these things, but so do plenty of other solutions. The difference can be summed up in a sentence that doesn’t sound like a compliment, but is: With Open Influence, image is everything, which is something best explained in The Details. Pro, $100 per month — 150 searches, 50 results; same 4 search filters; and 2 lists of up to 25 influencers (per list). You also get a 2-day free trial. These plans aren’t terribly useful for anything, except to make the Premium plan look like a good deal. At 5x the price of Pro, you get some serious upgrades (the image recognition feature being the standout). Premium, $500 per month — 500 searches, 1500 results; filter searches with basic criteria as well as by social channel, audience demographics, and image recognition labels; 4 lists of 25 influencers, and a 2-day free trial included. At the very top is a custom priced plan that includes everything Open Influence offers. 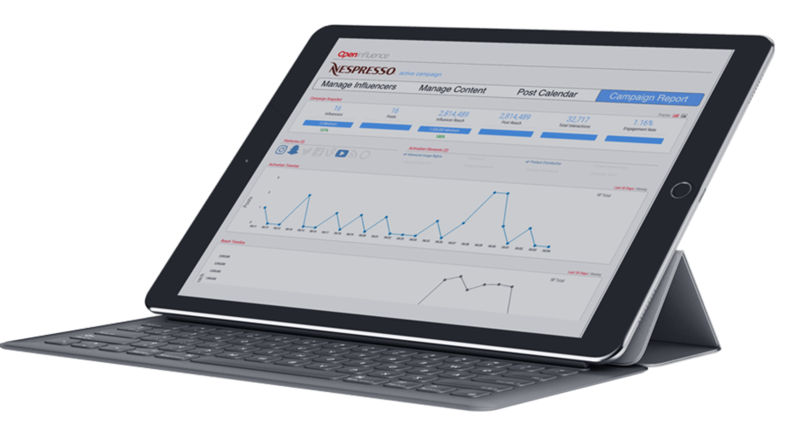 Enterprise, Custom Pricing — Unlimited searches, results, and lists, all of the above search capabilities, plus a look-alike modeling feature and campaign management tools. 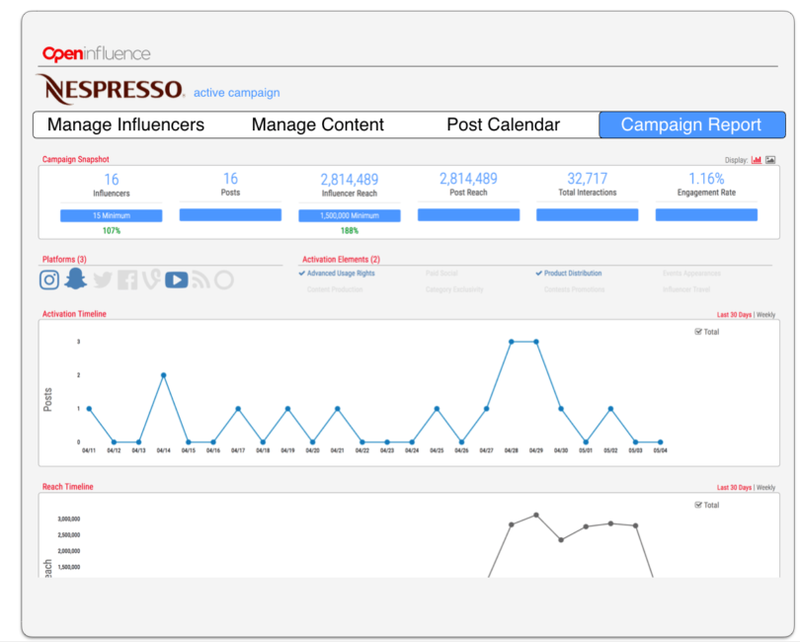 As it’s priced now, Open Influence is not a tool for small businesses. For the same monthly fee as the Basic or Pro plan, you can get much more elsewhere. The Premium plan is worth a look, but then you’ll still be left without a way to manage campaigns. At the Enterprise level, though, Open Influence is a real winner, and it's what the rest of this review is based on. In the introduction above, I said that with Open Influence, image is everything. It’s more accurate to say that images are everything—they’ve taken image recognition beyond a basic implementation of it. Other influencer platforms can perform a basic “Show me pictures that look like this” search, which is itself pretty cool. 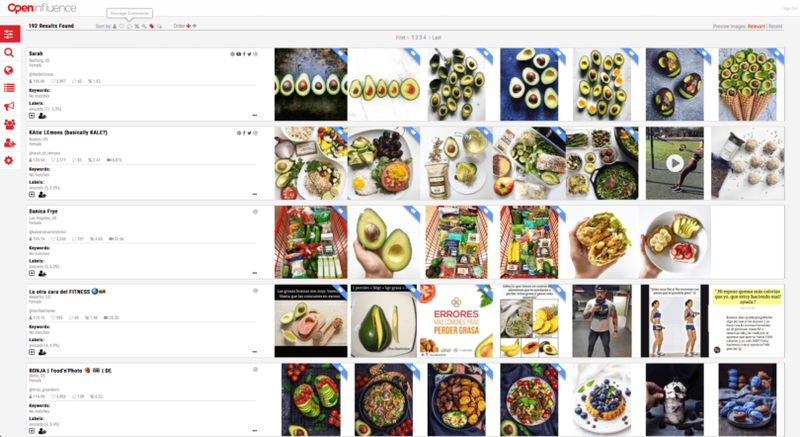 Open Influence’s AI uses the image recognition to actually label images with descriptors, all of which become searchable. The obvious use for this is the ease of an image search: you don’t have to upload a picture of someone doing yoga to find influencers for that topic. Instead, you just type in the word “yoga”—along with any other search criteria—and you’ll get results to match. Even better, you get relevant results. Searching with hashtags often means wading through a bunch of content that isn’t quite what you’re looking for. Search for #yoga, and you’ll just as likely see posts of southern Californians wearing “Namaste” t-shirts as you would find pictures of people engaged in actual yoga. By having the AI label the content directly, it’s a much shorter route to find what you’re looking for. The algorithm understands the difference between a person in a t-shirt and a person practicing yoga. You'll end up seeing images showing you want you wanted to see in the first place. From there, it's a simple matter of looking for people whose style and audience fit your brand. Once you’ve found someone who’s just right, the software can do a look-alike search to find other influencers just like that one—not just in terms of content but also the demo- and psychographic makeup of the audience. Using audience psychographics for search is another area in which Open Influence differentiates itself: the platform's indexed over 20 million recognised keywords for interests-based searches, which on its own is nothing new. What's unique is these interests are indexed for engaged users only—not audiences as a whole. So when you refine your search for a yoga-posting influencer to finding one with an audience that's into natural foods, for example, your results will be more valuable than a list of people whose followers are generally into the topic. You'll see profiles of influencers whose audiences are passionate about the topic. It's the engaged users you're after, and OpenInfluence's search lets you find them with precision. The visual focus on the content is a welcome approach. Marketing of any kind is inherently visual, and influencer marketing largely rests on the shoulders of people who made their names posting photos and videos. The aesthetic of any given influencer is as important as their reach and engagement rate, and Open Influence does a great job of turning style into something you can search for. The emphasis on content is present in other areas, as well. It does this in little ways, like when you scroll through your search results and see more than just influencer names, profile pics, and stats. You’ll also see 5 of the most relevant posts to your search in a row, which is a great way to quickly size up whether someone is a visual fit for your brand. There’s also an incredibly clever feature called the “Mood Board,” which can actually give you an idea what your campaign will ultimately end up looking like. The Mood Board is something that’s available within any lists of influencers you have. Categorise a bunch of influencers into a list gives you the ability to look at each of their five relevant posts, arranged all together in rows on the screen. You can see how their styles mesh with one another, as well as your own, and get a sense of the content they’ll be producing for you. Aesthetics may be subjective, but this is the quickest, most surefire way to see who is and isn’t going to work for your campaign. Lists, by the way, are another feature that Open Influence does in a very different—and better—way than I’ve seen before. 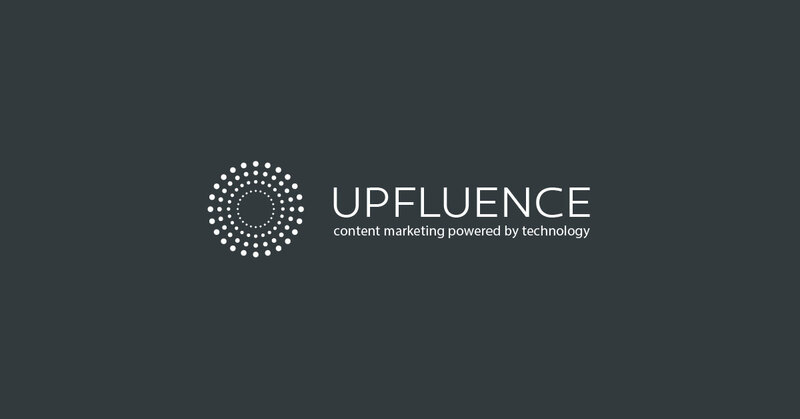 Rather than just being a central place to view and analyse all the influencers you’ve categorised, it also presents some very useful information about the group as a whole. Apart from the Mood Board, you’ll see their total reach, average number of likes and comments among them, and two interactive maps. One is a regular old geographical map, showing you all the influencers locations (and the locations of their relevant posts). The other is a topic map, a kind of word cloud made up of the group’s most used hashtags, great for understanding which conversations you’re going to be a part of (and for deciding whether you want to). You can also click on any of the topics to then see the posts associated with them. All of this is presented inside an easily navigable interface that manages to cram a lot of information into your small computer screen. 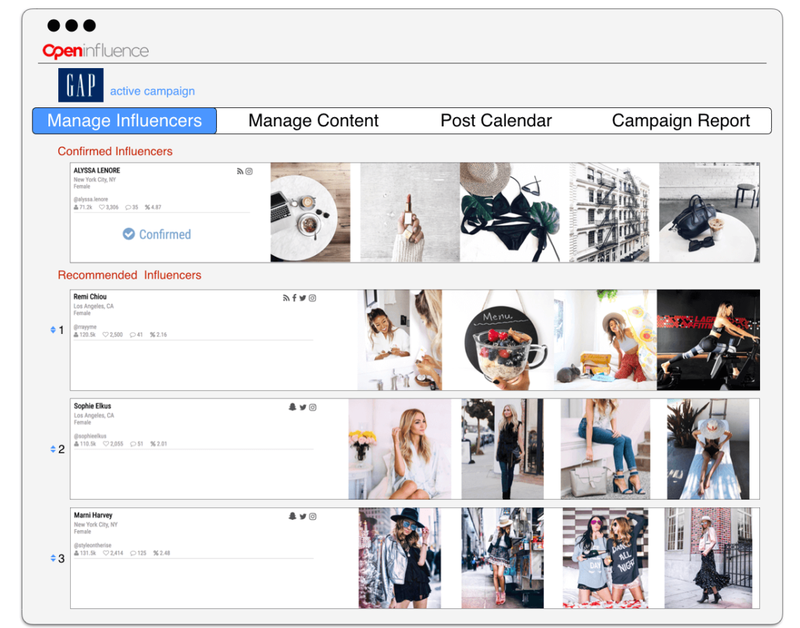 Clicking on influencers expands their profile view to yield more information without having to leave the search results screen. 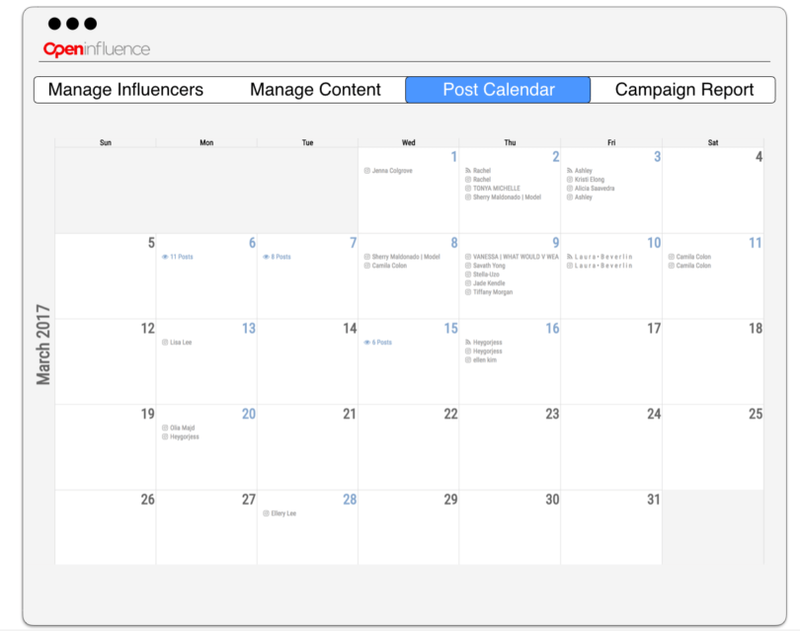 Setting up campaigns is a small matter of filling in the blanks in a small overlay window. Assigning team members is as easy as entering an email address and checking some permissions boxes. Content can be submitted, approved or rejected, and monitored after it’s live all from the same location, all in a clean manner that’s never difficult to decipher. There’s almost nothing about the Open Influence that’s lacking. Almost. There is one small detail missing, which isn’t at all a dealbreaker, but merits mentioning. With everything else the platform offers, and given how specific you can get with audience psychographics in the search module, it was surprising that the campaign reporting doesn't shed any of this same light on audiences. The reports are very thorough in telling you how a campaign performed—you can set deliverable targets and then see that met them; look at a gallery of each posts and sort them according to performance metrics; and look at a few graphs to show the activity timelines around the campaign. So you’ll see things like the number of likes and comments, and each post’s engagement rate, but you won’t be able to find out anything about the people who engaged. It's great to know upfront what an influencer's engaged audience cares most about, but it's just as valuable to know when the campaign's done whether your content resonated with the people you wanted it to. And if it didn't, it's just as important to learn who is engaging with your campaigns, because those are people you should continue to reach. That last criticism aside, Open Influence is still a major accomplishment. 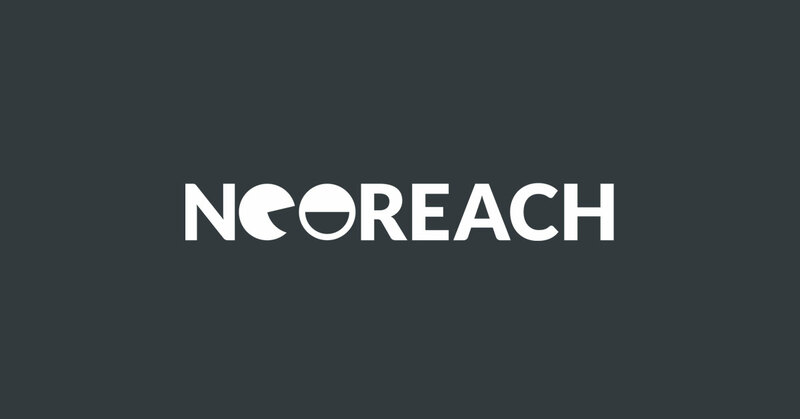 That the service came about by accident makes it even more impressive, because it has the kinds of features and capabilities that feel like they were devised by people who’d been thinking about influencer marketing for a long time. Functionally, the software is fluid and intuitive—every feature and bit of data is always close at hand. And feature-wise, users will not be left wanting. 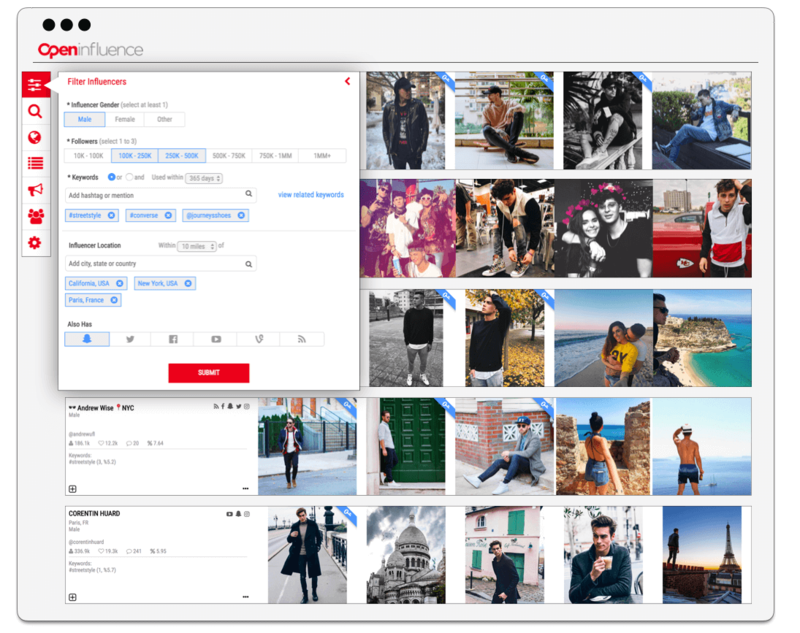 The AI-fueled categorisation of content based on image recognition opens up a new way to search for influencers. The look-alike modeling lets you duplicate success easily, once you’ve found it the first time. 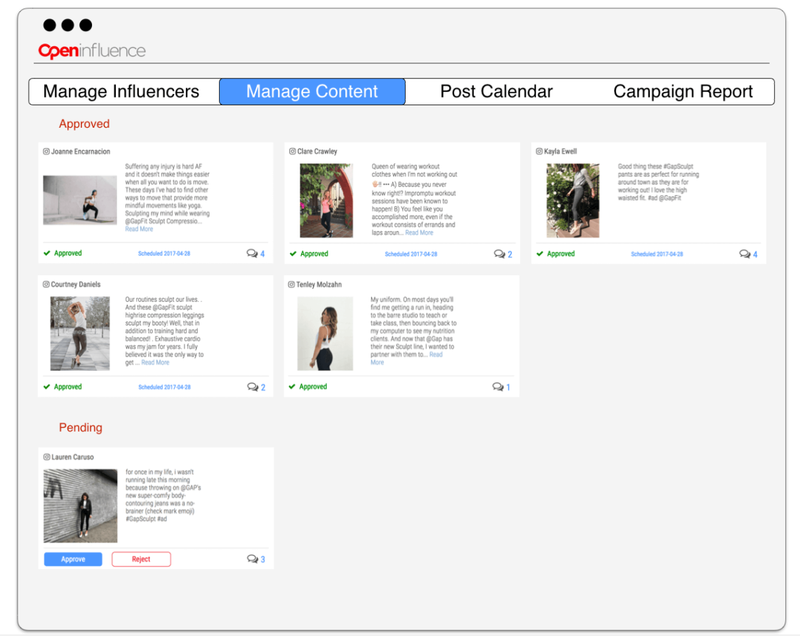 The interactive nature of the lists feature are better described as dynamic workspaces; the level of precision with which you can analyze the group as a whole means, over time, brands and agencies will develop carefully curated groups of influencers for any topic they need. It’s not hard to imagine why Open Influence has attracted dozens of very high profile customers, and their pricing seems to designed to keep it that way. That doesn’t mean it’s overpriced, only that the top-tier subscriptions are where you’ll get any real value. And make no mistake, that value is real—the platform’s doing so much in innovative ways that it's easy to overlook the tiny handful of things that are missing. They’ll probably be added soon enough, anyway, as new features are released on a regular basis. Big name brands and agencies will definitely want to stay Open to checking this software out.